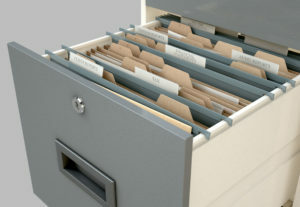 Usually, businesses deal with many documents that contain data that can be kept or destroyed. Along with sorting the types of documents that must be destroyed, it will also be important to take note of the document destruction services that can offer the level of protection that you will need. These documents have normal security requirements for internal information that is intended for and available to fairly huge groups. Class 1 documents have limited negative effects on the company even during unauthorised disclosure. Protection of personal data must be ensured because it can put the position and financial situation of the person concerned at risk. Class 2 documents have high security requirements. These documents involve confidential information that is restricted to a small group of people. Unwarranted giving out of information can bring a significant effect on the company and could violate legal agreements and obligations. These documents require strict requirements in terms of personal data protection to keep the individual concerned free from considerable risks to social standing and financial situation. These documents require a very high level of protection because of the confidentiality of data involved. Access to information requires authorisation and is limited to a very small group of individuals with only. Unauthorised distribution of information can create serious consequences for the company and may infringe professional secrecy, contracts or legislation. Class 3 documents require personal data protection and must be ensured at all cost in order to avoid putting the personal freedom of an individual at risk. Australian Document Shredding Service is a 100% Australian owned and operated document shredding company that offers document destruction, secure document disposal and document shredding services Australia wide.